We bring forth excellent quality Hydraulic Bourdon Tube Pressure Gauges at competitive prices. Wika Hydraulic Bourdon Tube Pressure Gauge has a special sturdy design, which is resistant to vibration and shock. Having so many applications in hydraulics and shipbuilding, our Hydraulic Bourdon Tube Pressure Gauges enjoy wide appreciation among clients. 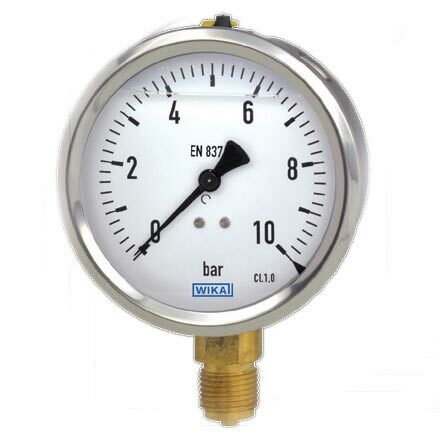 Hydraulic Bourdon Tube Pressure Gauges, offered by us, have a scale range up to 0-1000 bar.